On that day, the residents of this downtown Washington building decided to tame the chaos. They voted that the lobby required a redesign. The boxes would get their own new package room, behind a password-activated door. This decision would reshape the building’s first floor, but they bet it would raise the value of the property. At least the ungainly stacks would be safe in a separate room. This is a picture of America, physically adjusting to the success of Amazon.com, the one-stop shop for everything. In just two decades, founder and CEO Jeff Bezos has transformed from a Honda-driving online salesman of books to the world’s richest man. He sits atop one of the most influential American companies at the center of an activity that makes up two-thirds of the U.S. economy: consumer spending. Close to two-thirds of Americans now say they’ve bought something on Amazon, according to a new NPR/Marist poll. That is 92 percent of America’s online shoppers — which is to say, almost all of them. 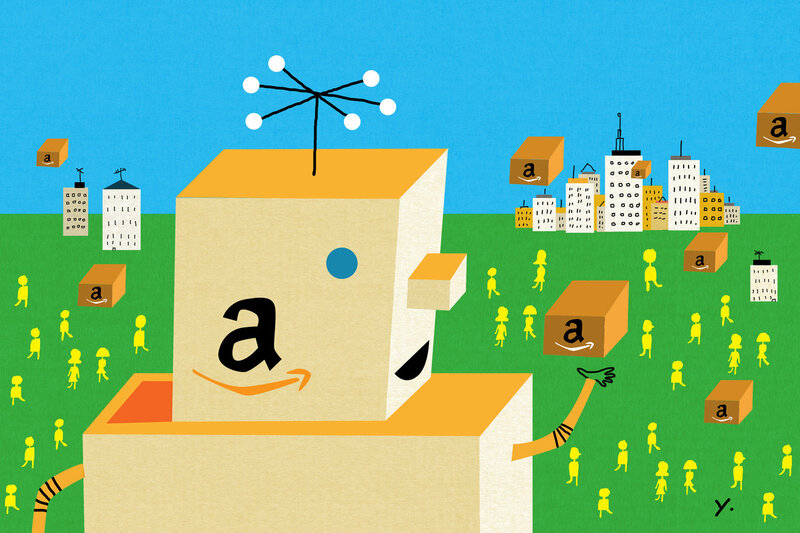 More than 40 percent say they buy something on Amazon once a month or more often. In fact, when people shop online, they’re most likely to start on Amazon.